The sub-committee further noted that SREP does not have sufficient resources to finance all the new pilot countries’ investment plans. It asked the CIF Administrative Unit and the MDBs “to manage expectations on future resource availability” and encouraged contributor countries “in a position to do so to make additional contributions to the SREP.” Furthermore, the April SREP semi-annual operational report warned that due to the “worsening debt distress for some countries” and some exceptional cases, grant resources have been committed to a number of countries. As a result, “grant resources may run out before non-grant resources”. Moreover, the report noted that nine SREP countries are yet to submit their investment plans for endorsement, with an indicative allocation of $325 million. Also during the November meeting, the AfDB notified the sub-committee that it is monitoring a fiduciary investigation of an SREP implementing partner in Kenya, however, there was so far no confirmation that fiduciary problems had occurred, or that SREP or AfDB were involved. The May joint committee paper, Strategic directions for the Climate Investment Funds, argued that SREP “has been instrumental in de-risking renewable energy investments and lowering the cost of capital for renewable energy projects” and “enabled the MDBs to finance energy access operations that otherwise would not have been possible, given the limited availability of IDA resources and the flexible grant, non-grant and risk bearing instruments that SREP can offer.” Moreover, it noted that SREP has “encouraged MDBs and countries to engage in dialogues on energy access that would otherwise not have taken place.” However, it also noted “uneven progress” and several challenges, including that “the resources envelope has been small for multiple MDB engagement” given the high transaction costs, and that the level of unpredictability of resources “has made it very difficult to plan ahead in a strategic manner.” It argued that the incremental expansion of SREP “has sometimes led to ad hoc and even inconsistent decisions, especially vis-à-vis grant and non-grant resources” to the pilot countries, noting a shortage of grant-resources for countries that have experienced debt distress. Moreover, similar to the PPCR and FIP, it noted that the private sector set-aside “had placed many constraints for programming”, reducing its effectiveness. As a way forward, the paper proposed to focus on the nine pilot countries that are yet to submit their investment plans for endorsement, requiring approximately $250 million. It noted that these countries are unlikely to secure funding from other sources of climate finance, and argued that it is “imperative to keep the momentum of the MDBs and to sustain their engagement in these countries.” If additional resources become available, it also proposed that SREP establishes an enhanced private sector programme for energy access. Cambodia’s investment plan, with a request of $30 million in SREP funding (up to $13.5 million in grants), will be discussed in the June sub-committee meeting. Switzerland commented that despite the plan claiming to address the needs of poor regions, improved access to electricity/energy was not included in the results framework. It recommended that “where investments are targeted towards poor regions, the impact on poverty alleviation, notably by improved access to energy (including electricity) should be targeted and measured as reflected in the results framework”. It also pointed out that the leverage factor of funding renewable energy is far below the SREP objectives. Switzerland asked for a number of clarifications, including on the grant vs non-grant split in the plan. It further noted that the estimated leveraging factor is lower than the SREP target, and also asked for clarification on the recipients of the SREP funds. Switzerland asked a number of questions for clarification, including on the results framework, calling it “incomplete”. They also questioned the analysis of renewable energy output potential, including why the hydropower potential is presented as small and why the bulk of solar rooftop installations are for public buildings rather than residential, commercial or industrial buildings. They also asked for a clarification on whether the government subsidises fossil fuels and the associated impact on incentives for renewable energy. The IBRD pointed out that hydropower potential is deemed low due to the country being largely flat. It also clarified that the solar rooftops for public buildings are more specifically for “social sector projects”, including health centers, remote educational institutes, religious establishments and government buildings, with the original intention to demonstrate the viability of rooftop solar to the private sector. It confirmed that the government subsidises fossil fuels, but that financial incentives for rooftop solar will be introduced under the plan. The Norwegian Agency for Development Cooperation (NORAD) strongly criticised the investment plan and called for it not to be approved in its current format. It raised particular concern that an already up-and-running programme part funded by NORAD, GetFit, cannot be funded under SREP, warning that “the transactions costs by setting up a parallel mechanism could be considerable.” It further criticised the design of the plan and implicit risk: “Rather than picking low-hanging fruits, i.e. hydropower and bagasse [sugarcane residue] co-generation and grid-connected solar, that can secure fast-track development of electricity projects, the IP will target generation technologies with no track record in Uganda, i.e. geothermal and wind energy. This may introduce additional risks for Uganda, possibly at the cost of reduced economic growth. We cannot see that this strategic choice is well documented and justified.” On geothermal energy specifically it requested that lessons learned should be documented. Switzerland asked for clarification on a number of issues, including the grant vs loan proportion of the funding and around geothermal energy, including whether it is justified that 68 per cent of the SREP funding is allocated to this technology. 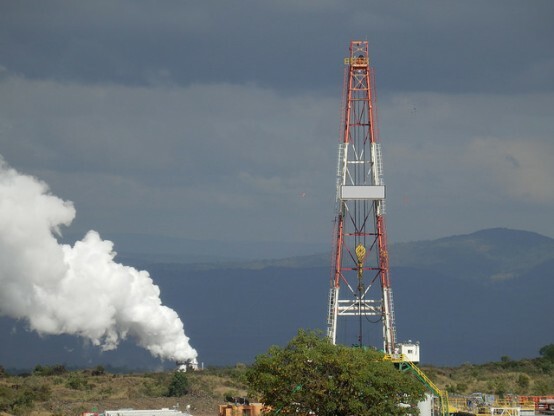 AfDB confirmed the funding split as $22.5 million in grants and $27.5 million in loans, but that “the final split will depend on the sovereign debt sustainability level of Uganda at the time of project submission as well as on the availability of SREP grant resources.” It further explained that the high share of geothermal energy is “to ensure economies of scale in the drilling programme”. There was no publically available response to NORAD’s concerns. The IBRD responded that the hydropower/diesel combination was assessed to be the most appropriate given local circumstances, and emphasised “that SREP is not financing the diesel generation.” No official response was available to the questions from CADPI. The project falls under a larger national rural electrification project, and aims to reduce the country’s dependency on fossil fuels. 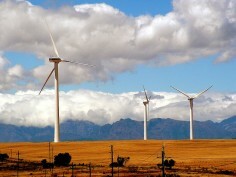 The SREP resources will be used to increase the renewable energy capacity to supply electricity to rural areas, and also includes a grant to the World Bank’s private sector lending arm, the International Finance Corporation (IFC) for transaction advisory support to assist small power producers in obtaining private financing. CADPI commented on the lack of information on how the project “affects positively or negatively the territories and resources of indigenous peoples, or indigenous peoples. I understand there is high diversity of indigenous or native peoples in Tanzania, although the Sukuma people are more than 5 million, then I arise the question again: how the government and private enterprise consider the effects on these peoples; how their rights are considered if they are affected by these investments.” Switzerland seconded the question, and asked further questions around the financing and expected results. The UK asked about additionality of the SREP funding, given the other funding sources and that the SREP proportion only represents two per cent of overall funding for the project. Regarding additionality of SREP funds, the Bank called the SREP funds “the cornerstone of the off-grid programme”, and that SREP funding will give higher priority than would otherwise be seen to activities, such as off-grid and mini-grid based rural electrification. SREP was launched in 2009 and aims to catalyse scaled up investment in renewable energy markets in low-income countries by enabling government support for market creation and private sector implementation. SREP is piloted in 25 countries and one region. Six countries were selected in 2010: Ethiopia, Honduras, Kenya, the Maldives, Mali and Nepal. All the investment plans of the original pilot countries have been approved and a reserve list for new pilot countries was agreed, including Tanzania, Liberia, Armenia, Solomon Islands, Vanuatu, Mongolia and Yemen. Tanzania and Liberia’s investment plans were approved in 2013 and Armenia, Solomon Islands and Vanuatu’s plans in 2014. In 2014 a further fourteen countries were invited to join SREP as pilot countries: Bangladesh, Benin, Cambodia, Ghana, Haiti, Kiribati, Lesotho, Madagascar, Malawi, Nicaragua, Rwanda, Sierra Leone, Uganda and Zambia. The investment plans for Ghana, Haiti and Nicaragua were approved in May 2015, and the investment plans for Bangladesh, Rwanda, Uganda and Mongolia in November 2015. As of end December 2015, $787 million had been pledged to SREP. A total of $716.2 million had been allocated to 59 projects and programmes and $92.4 million for seven projects and programmes under the SREP private sector set-aside. Out of the allocated funds $225.8 million had been approved for 21 projects and programmes.